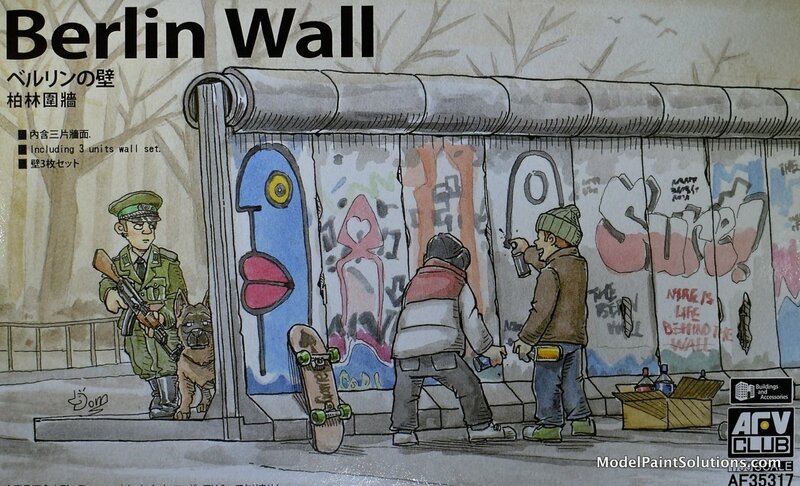 The first thing that intrigued me about this kit is the myriad of airbrushed wall graffiti that could be applied in the process of replicating some of the more colorful sections of the 1/1 wall. 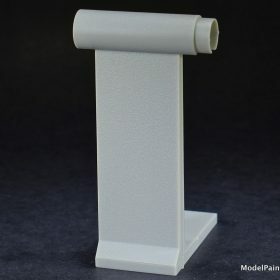 Secondly, being 1/35 scale, this kit would be ideal for Cold War dioramas: Leopard 1 on one side, T-54 on the other. 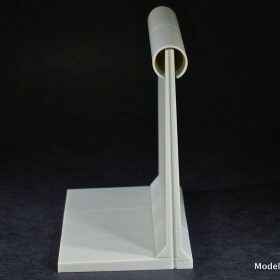 AFV Club must be commended for coming up with a simple, detailed kit of a historically significant structure that has such a wide range of uses for the scale modeler. 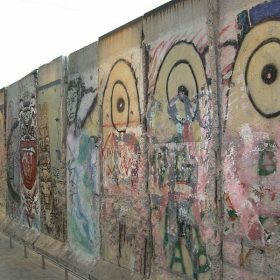 The Berlin Wall (German: Berliner Mauer) was a guarded concrete barrier that physically and ideologically divided Berlin from 1961 to 1989. 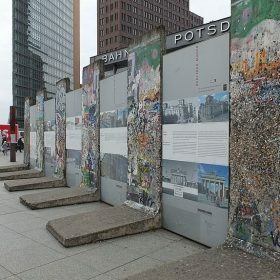 Constructed by the German Democratic Republic (GDR, East Germany), starting on 13 August 1961, the Wall cut off (by land) West Berlin from virtually all of surrounding East Germany and East Berlin until government officials opened it in November 1989. Its demolition officially began on 13 June 1990 and finished in 1992. The barrier included guard towers placed along large concrete walls, accompanied by a wide area (later known as the “death strip”) that contained anti-vehicle trenches, “fakir beds” and other defenses. 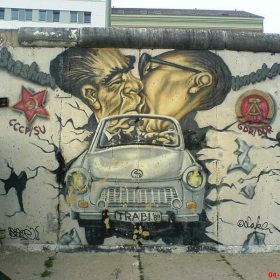 The Eastern Bloc portrayed the Wall as protecting its population from fascist elements conspiring to prevent the “will of the people” in building a socialist state in East Germany. 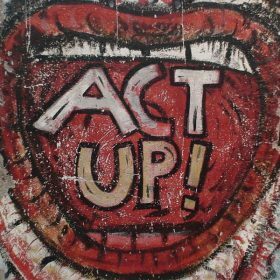 In 1989 a series of revolutions in nearby Eastern Bloc countries—Poland and Hungary in particular—caused a chain reaction in East Germany that ultimately resulted in the demise of the Wall. After several weeks of civil unrest, the East German government announced on 9 November 1989 that all GDR citizens could visit West Germany and West Berlin. Crowds of East Germans crossed and climbed onto the Wall, joined by West Germans on the other side in a celebratory atmosphere. Over the next few weeks, euphoric people and souvenir hunters chipped away parts of the Wall; the governments later used industrial equipment to remove most of what was left. 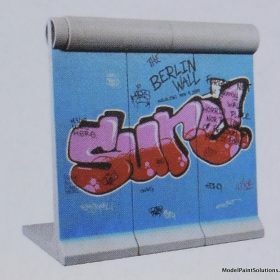 The “fall of the Berlin Wall” paved the way for German reunification, which formally took place on 3 October 1990. 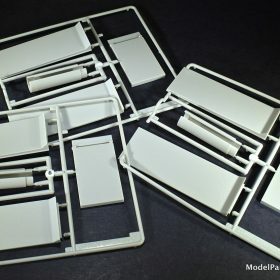 The obvious simplicity of this kit will make for a very fast build. 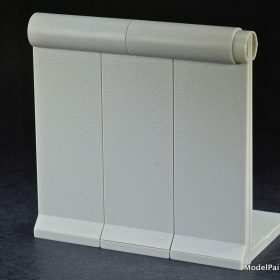 Each of three sprues has 4 parts: 2 vertical pieces (wall), 1 horizontal piece (base), and one cylindrical piece (upper concrete pipe connector). 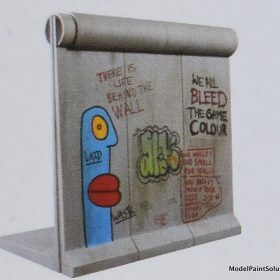 As mentioned on the box art, the wall panels have a very well done rough concrete-like surface texture that will look awesome under paint, washes, and graffiti; either by decal (below) or airbrush. 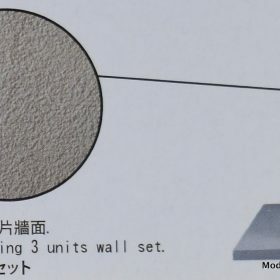 After a few moments with a parts nipper and a fresh blade, the 4 parts were quickly assembled, by friction-fit, into one of three wall sections. Three of the wall sections easily assemble into the completed wall. As can be seen in many online photographs of the actual wall, the upper cylindrical connecting pipes were made of concrete and therefore textured. Furthermore, side views of the 1/1-wall sections show the pipes to have been open ended. Both of the aforementioned details are accurately replicated in the AFV Club wall sections: very nice. 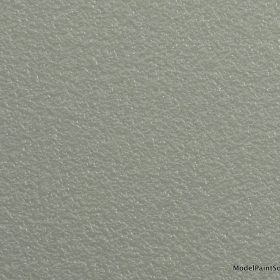 The decal sheet, by AFV Club, is crisply printed with appropriate hues and color densities. 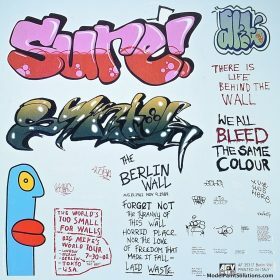 Many of the individual pieces of graffiti art provided on the sheet can be found in online pictures of the actual wall: a nice touch for those who prefer decals to airbrushing. What’s not to like? 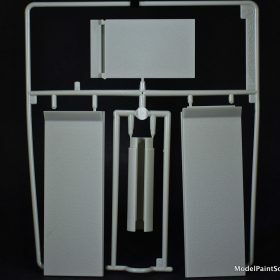 The engineering is simple and the result can serve as a canvas for an awesome airbrushing project and/or the central piece of an East-West cold-war diorama. Highly Recommended! –John Kit provided for review.